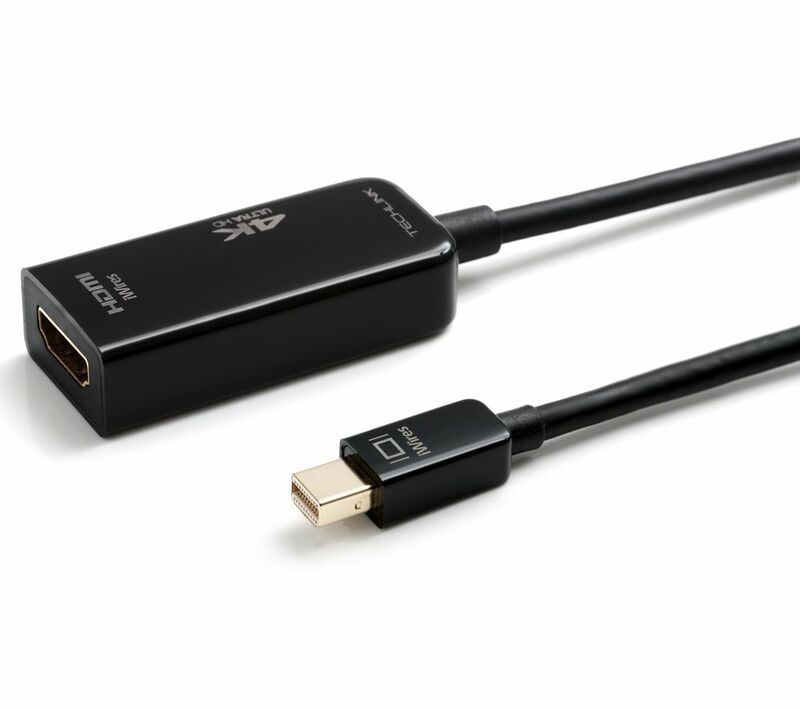 The Techlink Mini DisplayPort to HDMI Adapter lets you to connect your MacBook Air, MacBook Pro or iMac with a Mini DisplayPort to any HDMI compatible device - such as monitors, projectors or large screens in your home entertainment system. 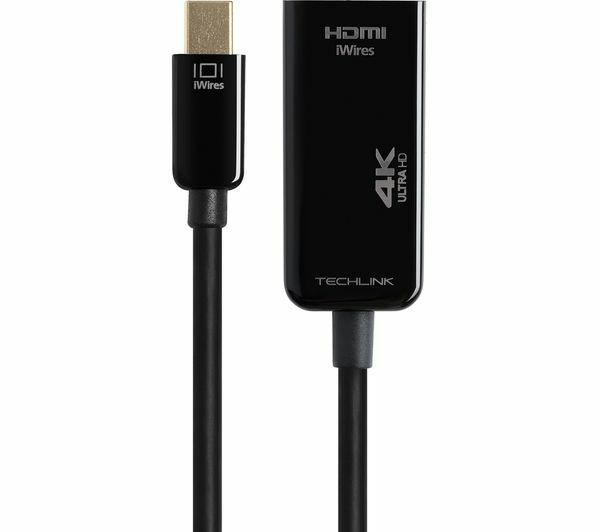 With gold-plated connectors, this Techlink adapter is up to 4K resolution compatible so you can enjoy clear results and experience high-quality video that is free from skips and errors. 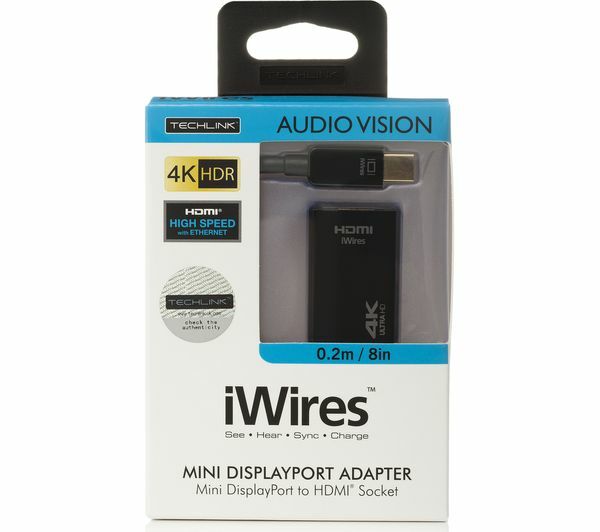 The Mini DisplayPort to HDMI Adapter is also compatible with Thunderbolt ports.